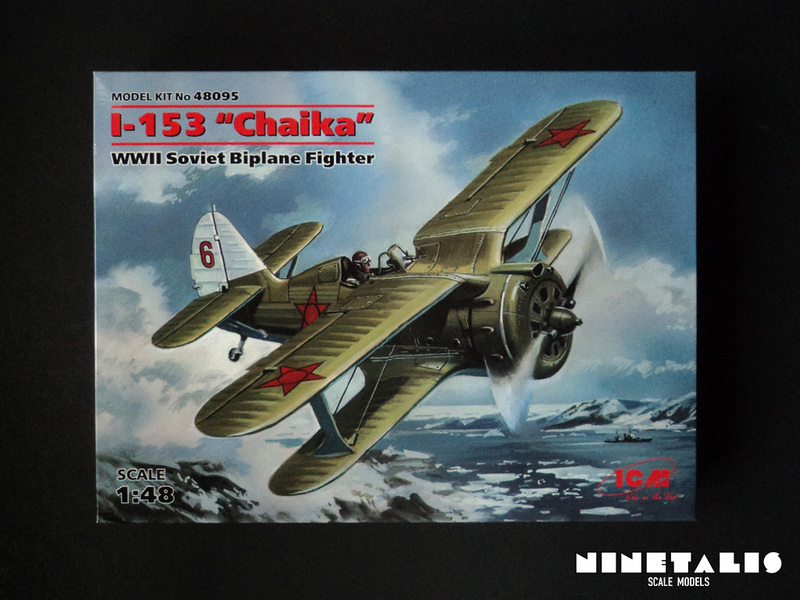 Polikarpov’s I-153 Chaika was the more modern version of the famous I-15 fighter. During the Spanish Civil War, the new monoplane I-16 had trouble fighting of the enemy’s biplanes, like the Italian build Fiat Cr.42, which suggested the need of biplane fighters. Visually the mayor difference was the feature of a retractable undercarriage and featured design elements of different I-15 variants. 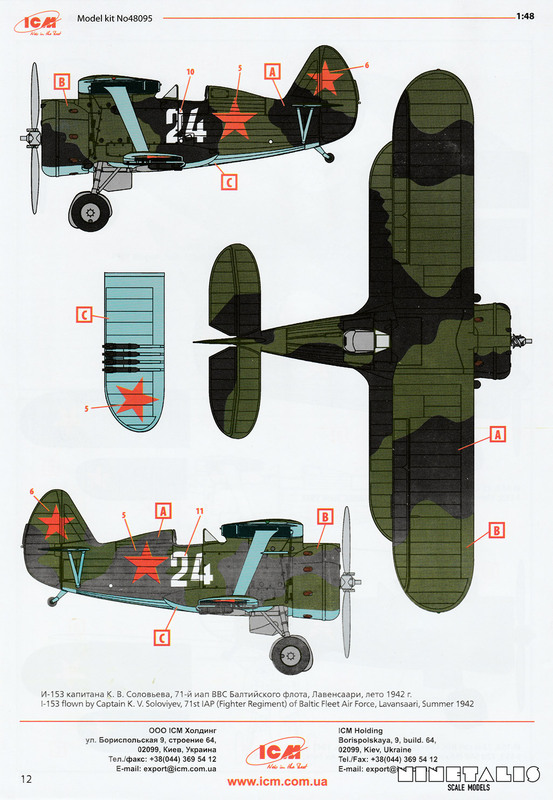 The Chaika’s baptism of fire was during the Soviet-Japanese Battle of Khalkin Gol in Mongolia, mainly fighting Nakajima’s Ki-27‘s, who proved to be formidable adversaries. 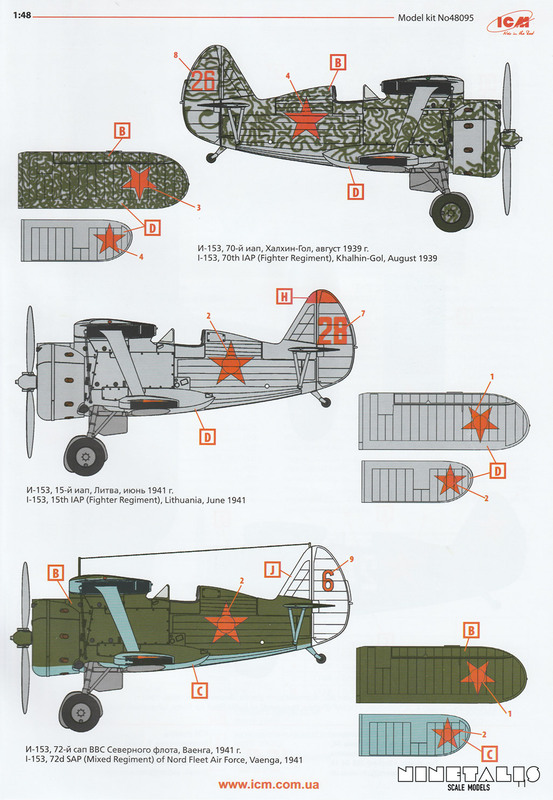 When the Soviet Union entered WWII against the Finnish, the VVS suffered severe losses, while the Finnish air force managed to capture several Chaika’s and use them with relative succes against the Russians. By the commence of operation Barbarossa, the plane was horribly outdated and could not cope against the Luftwaffe’s arsenal of modern aircraft. However, because of the lack of modern Soviet aircraft, roughly 3500 airframes were produced until mid-1941 and even saw combat until the end of the war. This paragraph is partially based on info from WIKIPEDIA, 21th jan 2016. 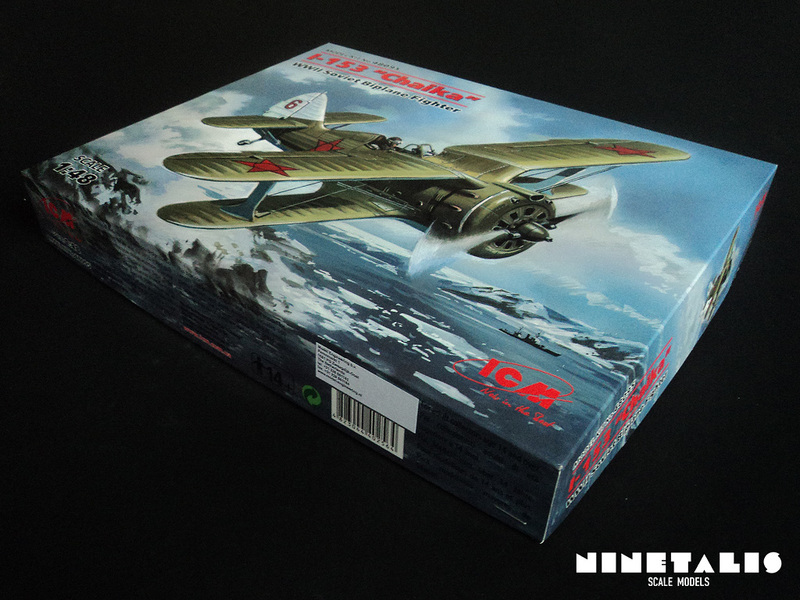 As with my previous review of ICM’s 1/48 C-45F/UC-45F, this kit comes within a sturdy cardboard box with a light cardboard cover on which the box art is printed. 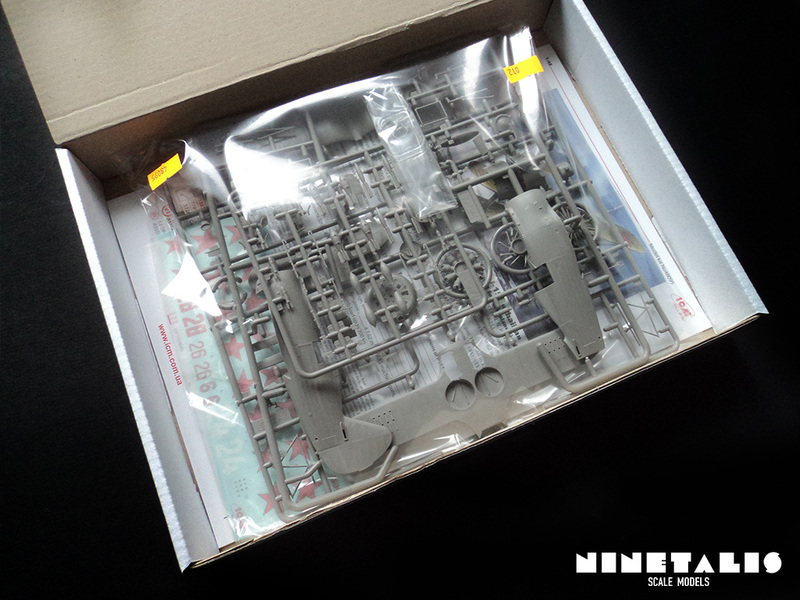 This makes that the parts are well protected and the box will not sag when storing it amongst your other kits. 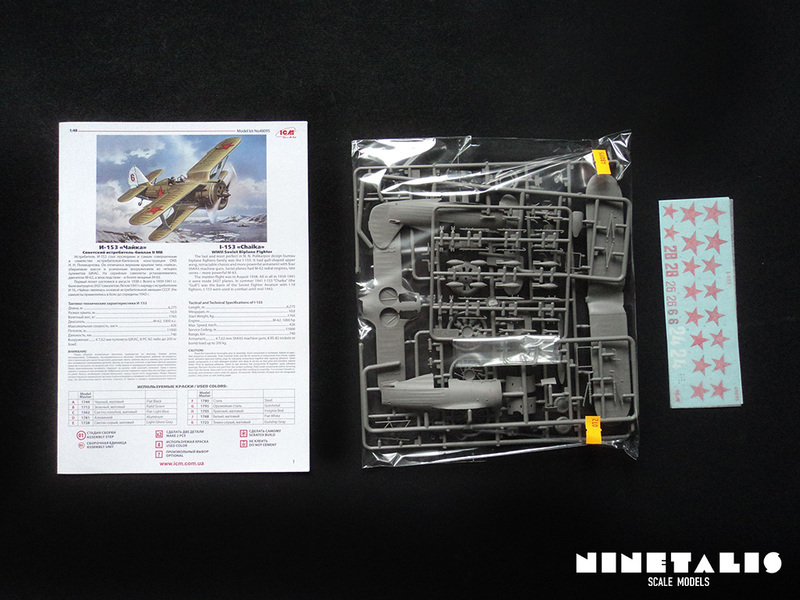 Upon opening the kit, we are greeted by a bag with four styrene sprues and one clear sprue (bagged separately), a decal sheet and the instructions booklet. 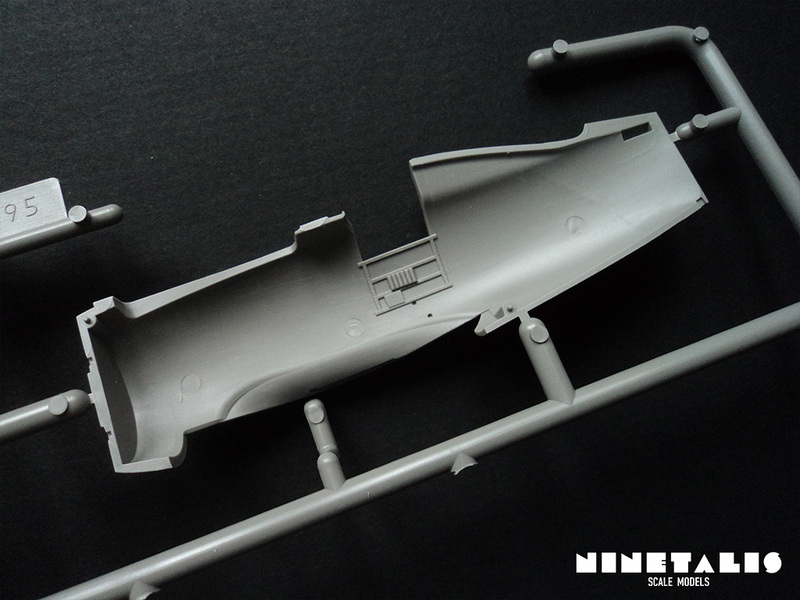 In total we get 98 styrene parts and one clear part. 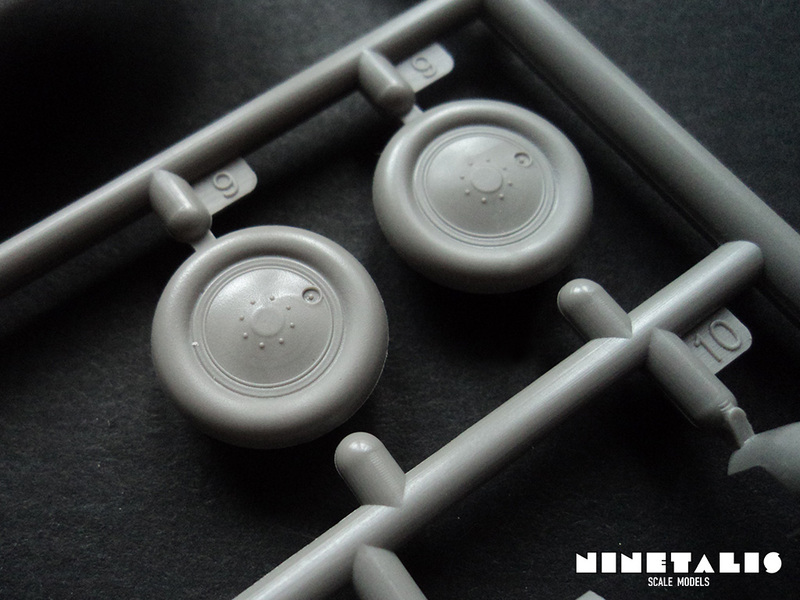 The styrene feels relatively heavy compared to other kits and appear quite thick. Yet, I do not feel worried as the detail and plastic appear to be of high quality, and unlike ICM’s old Yak series we are provided with positioning pins. 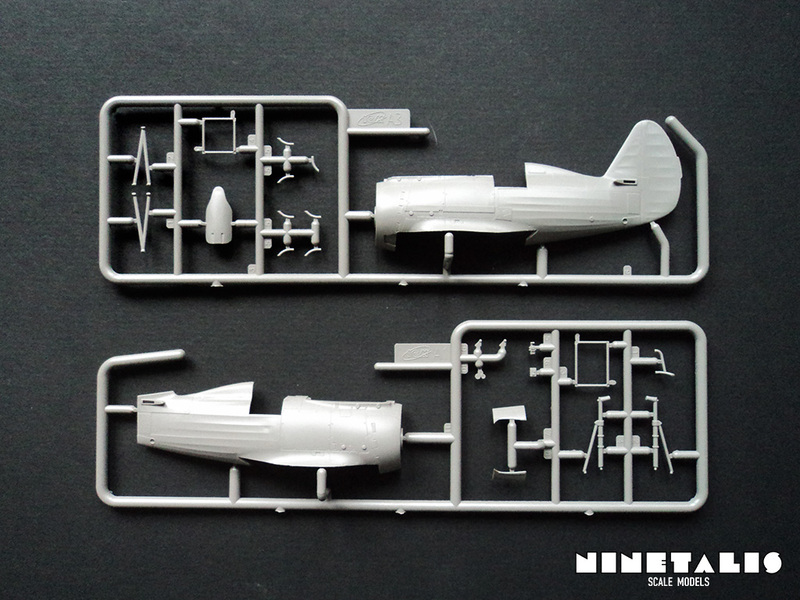 The A sprue is divided into three separate frames, the first of which here are A1 and A3, most recognisable by the two fuselage halves. Highlights on these are the recessed panel lines and details at the front which was metal on the real aircraft, and the fabric covering represented at the empennage. On the inside there is also some cockpit detail to be found. Other parts are for the cockpit like parts of the pilot seat and entrance doors, as well as the landing gear itself. The second A basically holds all the other parts of the I-153 airframe. 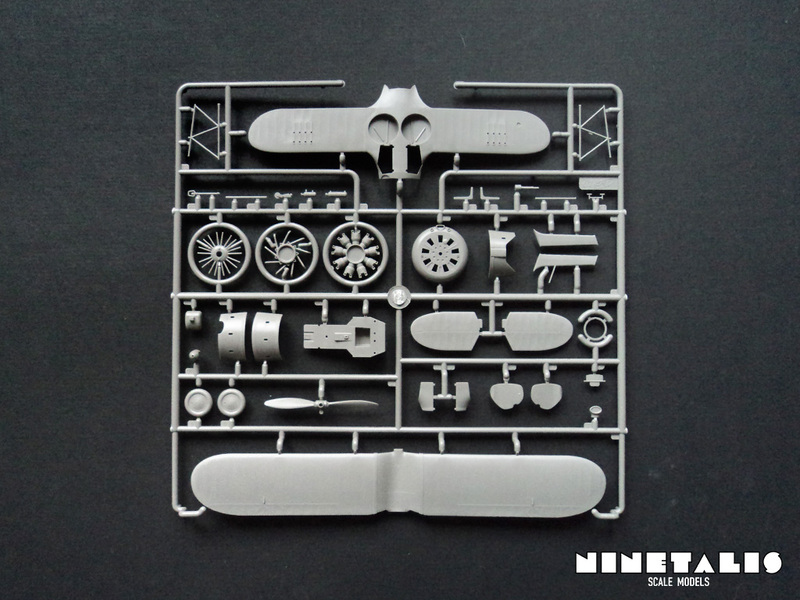 Being the upper and lower wings, engine, engine cover, landing wheels, horizontal stabilisers, propellor and some cockpit and other small parts. The most notable detail here is the engine, which is divided into three parts and eyes a lot better than the engines provided with the C-45F. 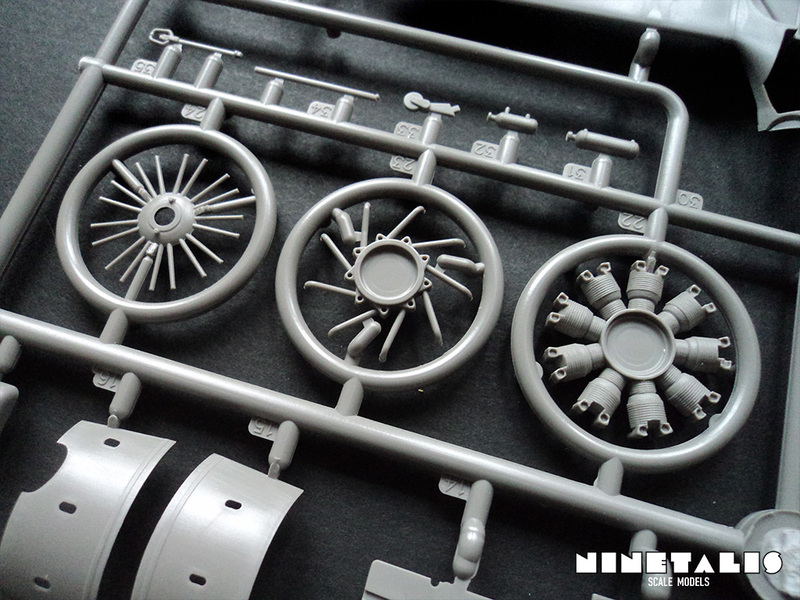 The wheels are molded in one solid part and the engine cowling in four parts. Detail again is quite impressive with recessed panel lines and raised details, which appear to be of the utmost quality expecting of a 2016 kit. 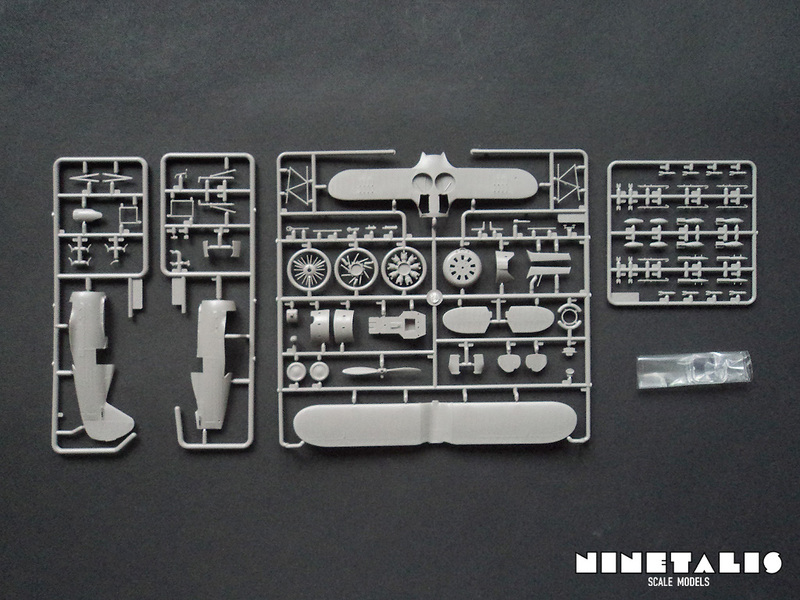 The only downside I can find here are the placement holes on the lower wing half for external armament, which one will need to fill if he or she decides not to mount any weapons. 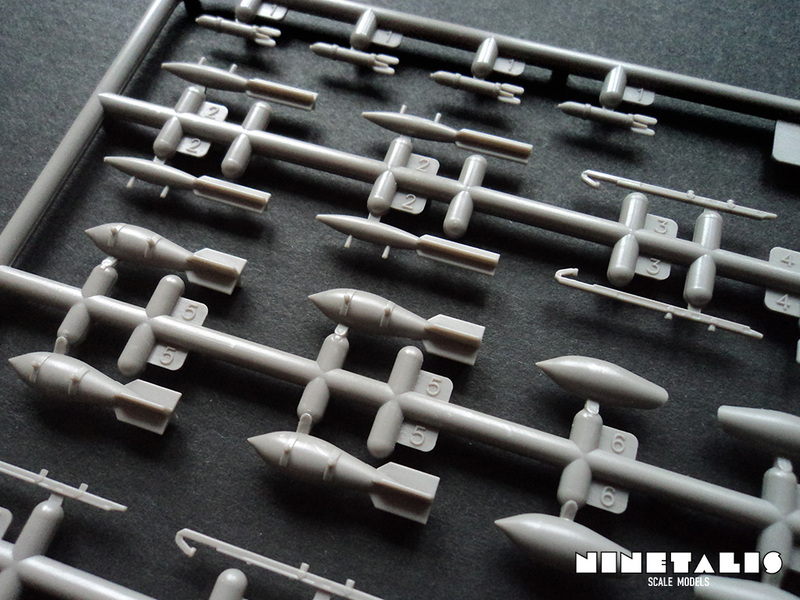 The B sprue provides the builder with bombs and rockets, as well as their appropriate mounting racks. The great thing is that whichever armament you wish to mount onto your model, you will always have leftovers to put into your spare box which you will be able to use on another model later. 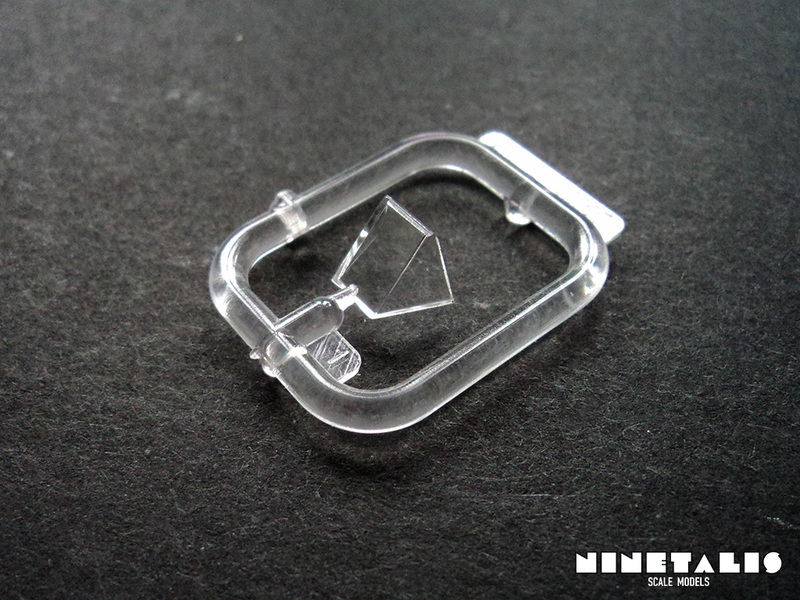 The clear sprue holds only one single part, which is that of the cockpit glazing. Thanks to the careful packaging of the part, it is in perfect condition. The only thing that might prove troublesome is the attachment point, which is molded onto the clear part of the actual aircraft. 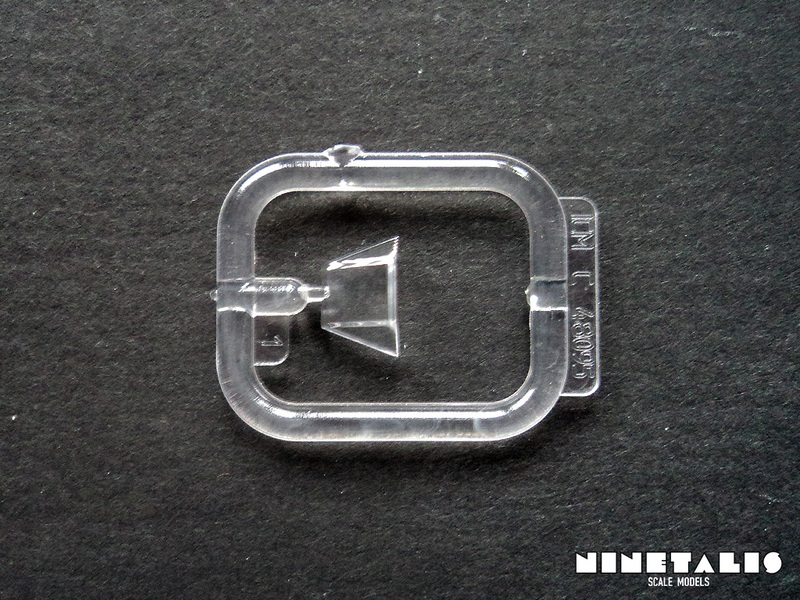 One will have to carefully clean the marks once the part is removed from the sprue, or make the see through part smaller to where the attachment point did not reach. 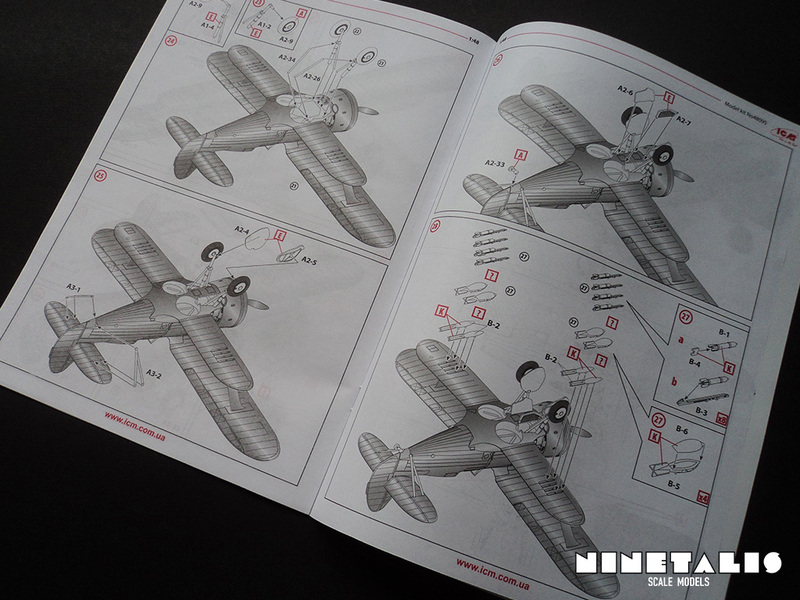 The instructions are printed in Russian and English, provided in a booklet printed in B/W with red highlights. The illustrations are computer generated and are often accompanied with sub-steps, which should make sure they are easier to understand. The colour codes are only provided in combination with model master painting codes with the Russian and English names. 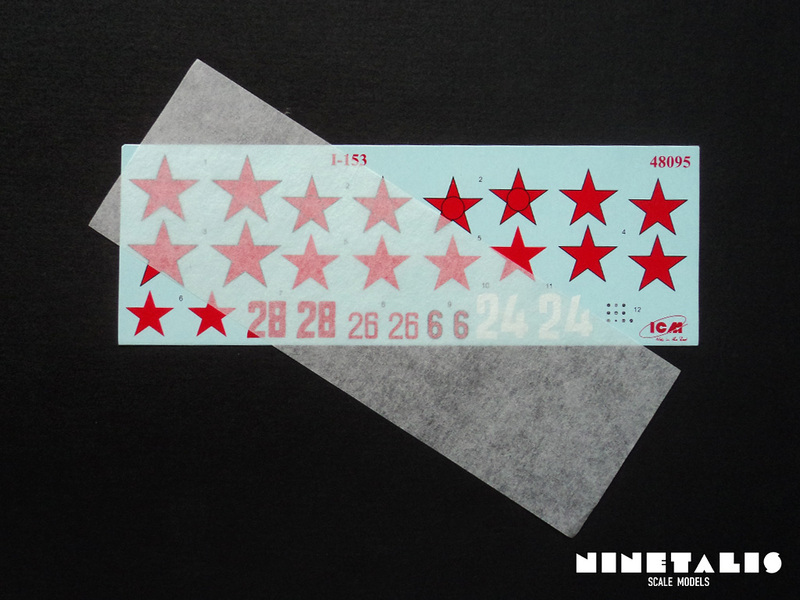 In total we get 27 decals, eightteen of which are VVS national insignia’s, eight are ID numbers and the remaining one for the instrument panel. 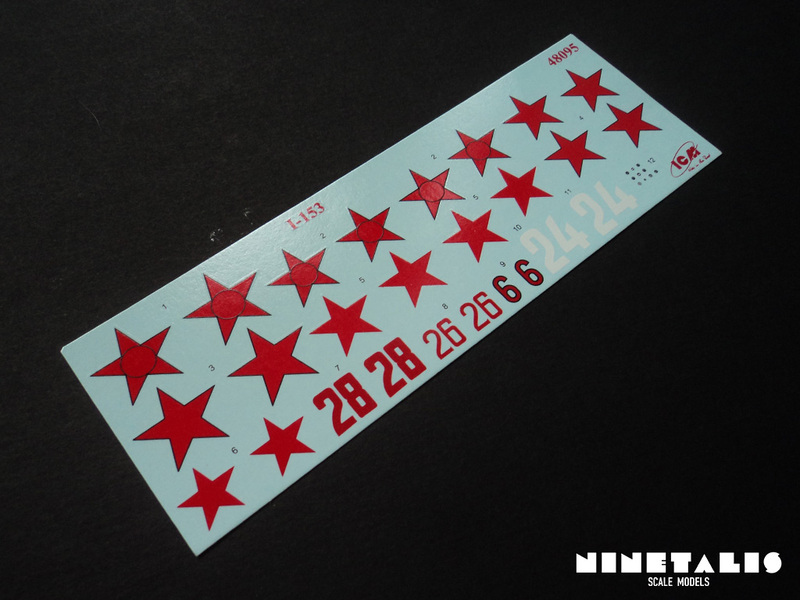 The decals seem to have a little bit of silvering going on, but nothing a matte varnish or clear coat shouldn’t be able to fix. 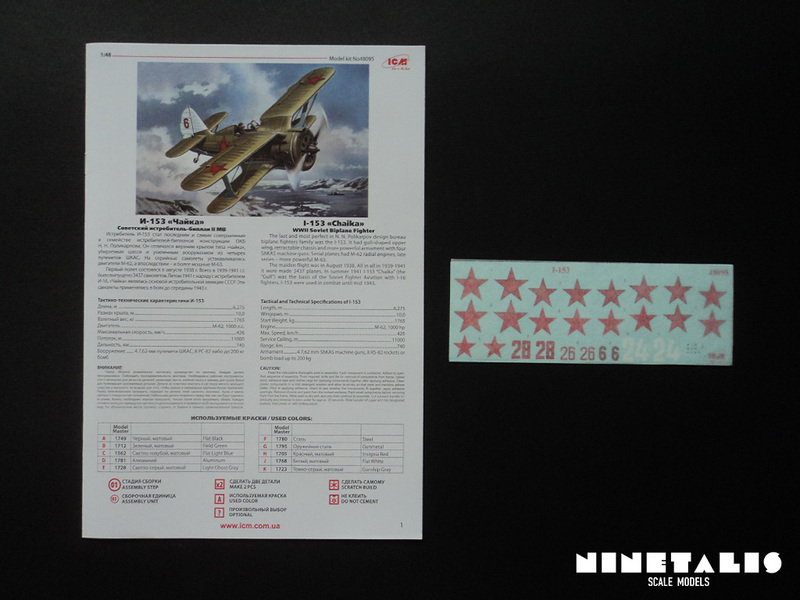 The amount of provided markings to choose from is quite impressive, as we get four different aircraft to chose from, printed in colour on the glossy paper which makes up the cover around our instructions booklet. The first is an aircraft from the 70th IAP (fighter regiment), based at Khalhin-Gol in August 1939, which was when the Soviet counteroffensive took place, pushing back the Japanese troops at the Mongolian border. The aircraft is overall silver covered with continuos green lined camouflage except for the lower surfaces. A red 26 ID number can be found on the rudder. The second aircraft is from 15th IAP (fighter regiment), based at Lithuania during June 1941. The aircraft is painted overall silver with a red tip on the tail and a red 28 ID number on the rudder. The third aircraft was part of the 72 SAP (mixed regiment) of the Nord Fleet Air Force based at Vaenga during 1941. It is painted in the classical way of ‘Field Green’ upper surfaces and ‘Flat light blue’ on the lower surfaces. The tail is painted in white with a red six ID number on the rudder. The fourth and final aircraft is the one flown by Captain K.V. Soloviyez from the 71st IAP (Fighter regiment) of the Baltic Fleet Air Force, based at Lavansaari during the Summer of 1942. The aircraft is painted in a ‘Flat black’ and ‘Field Green’ camouflage on the upper surfaces, and ‘Flat light blue’ on the lower surfaces. Underneath the cockpit we can find a big white painted 24 ID number. Also noteable is that unlike the other aircraft, this one is depicted with external armament. I do not know if this means that the other aircraft should be build without it to be historically accurate. 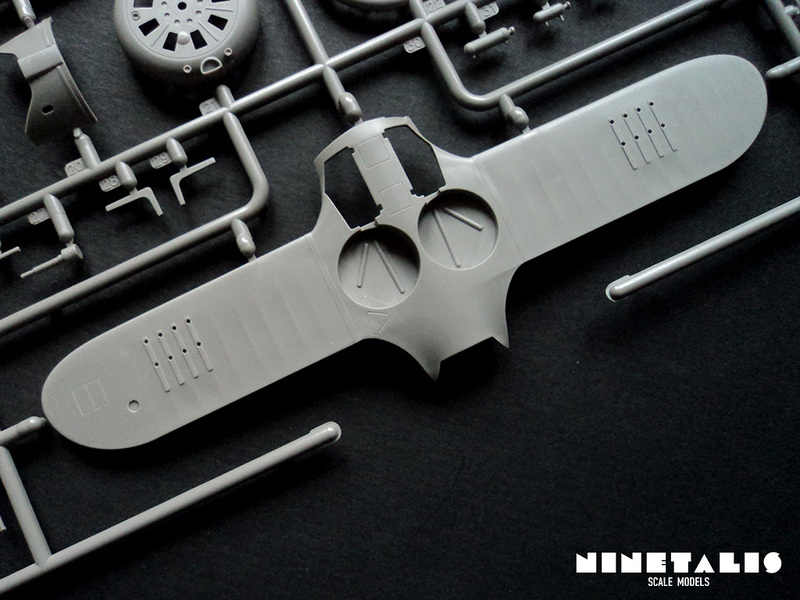 The days of ICM’s crude looking kits are far behind us and this new I-153 is once more proof of their recent evolution, producing kits that are comparable to that of Airfix or Revell’s recent new molds. 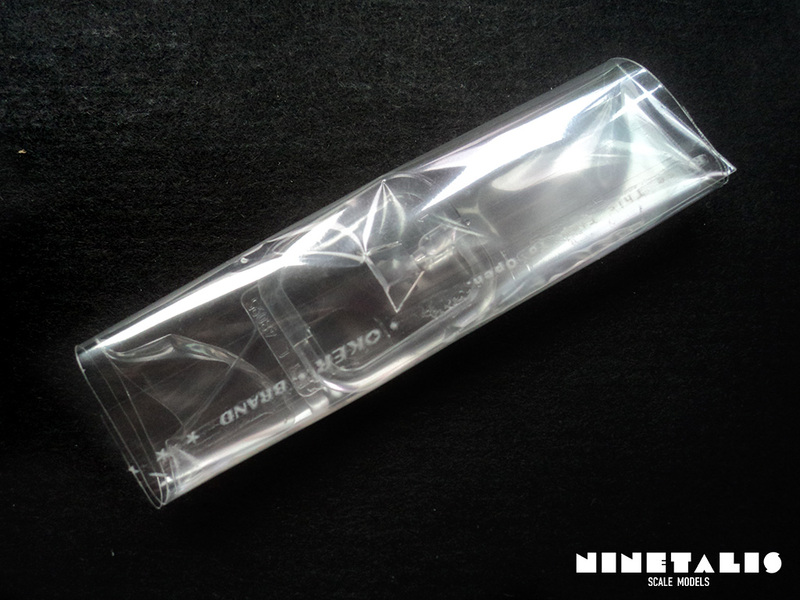 Everything is produced in great quality, starting from the price and packaging down to the frames and decals themselves. Even when compared to their recent beautiful C-45F release, which had a few (truly minor) odd production choices, they seem to be evolving to greater quality with every kit. The only reason why I didn’t give this kit a perfect score is because I feel like the cockpit appears a little bit spartan (which might just be me), the decals that seem to have a bit or silvering issues (which might again just be me) and the attachment point on the clear part. Other than that, this kit is really nice. Looking at a price of 15EUR / 20USD, I really don’t know what one can complain about. It should build pretty straightforward without any hassle. 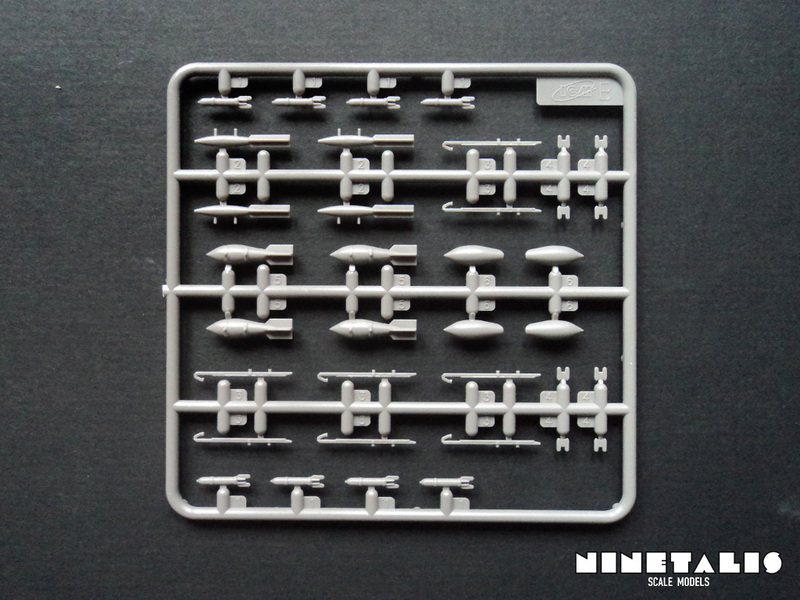 I really hope ICM is planning to release another boxing with Finnish markings choices, of which there are quite a few different and interesting ones, or maybe even an I-15 kit with the fixed landing gear which would provide even more marking options! But lets not get ahead of ourselves and focus on the kit we have now. 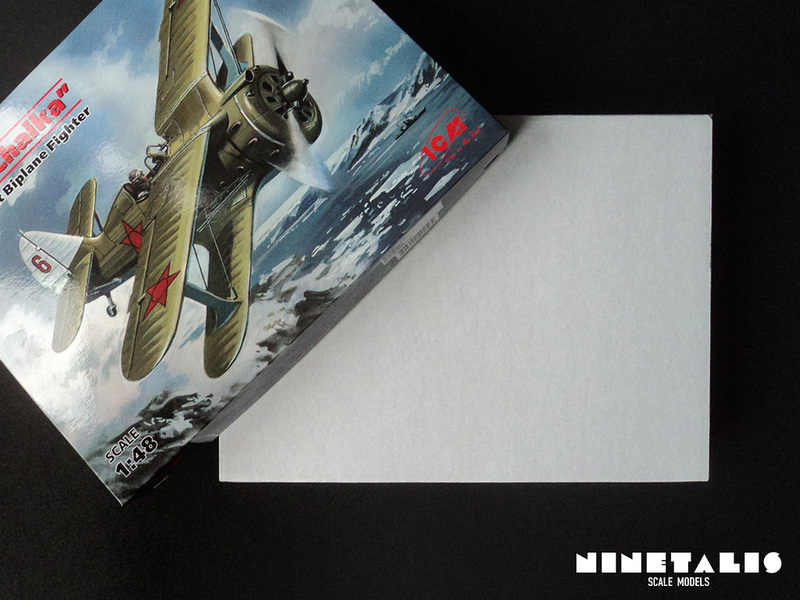 In short ICM provided a great kit which any Russian aircraft enthusiast should get either way.